AFRICAN UNION CONFERENCE HALL, New York/LILONGWE, Malawi – At 15 years old, Luwiza Lewis, in Malawi, became pregnant and dropped out of school. Stories like hers are tragically common in much of Africa. Young people too often find themselves mired in poverty, pushed out of school and excluded from opportunities. These youth must be prioritized, heads of states and ministers declared at a high-level consultative meeting held at the African Union Conference Hall in New York yesterday. “Youth can be critical agents for socioeconomic change if appropriate investments are made to unleash their promise,” said Malawian President Arthur Peter Mutharika, who chaired the meeting. Africa is young; in 15 sub-Saharan African countries, half the population is under 18, according to the 2014 State of World Population Report. Countries with high proportions of young people are poised to benefit from a so-called ‘demographic dividend’, an economic boom that can occur when there are more people of working age than dependents. Presidents, vice presidents and ministers at the meeting pledged to work together to achieve a demographic dividend in their countries. “We have… committed ourselves to investing in the realization of the potential of Africa’s youth population,” said Zambian President Edgar Lungu. These investments will be needed in education, skills training and health care. Countries must also invest in improving the rights and welfare of young people so they are able to seize and create opportunities. “Ensuring access to education, health services and employment for youth can mean the difference between capitalizing on a demographic dividend or taking a road towards disempowerment and disaffection,” said Dr. Babatunde Osotimehin, UNFPA’s Executive Director, delivering the meeting’s keynote address. Empowered young people are already making enormous contributions. “They are leading on global actions, such as ending discrimination, connecting Africa with digital innovations and technology, ensuring our collective resilience in the face of climate change, and building peace,” Dr. Osotimehin said. But the greatest gains will take place when the most vulnerable young people – adolescent girls – see their potential unlocked. “Adolescent girls, in particular, if they can be ensured high-quality education and primary health care, and if they are no longer burdened by child marriage, gender-based violence, unplanned pregnancies, poor maternal and newborn health, or HIV, can generate a better future for themselves and their families – and a dividend for their country,” Dr. Osotimehin said. Luwiza, in Malawi, is proving this point. After giving birth in the rural district of Dedza, she attended Safeguard Young People, a UNFPA-supported youth programme. There, she learned about her rights and how to access health care, including sexual and reproductive health care such as family planning. She also learned the importance of continuing her education. She has since refused to become a child bride, which is often the fate of girls who become pregnant in Malawi. And despite ridicule from members of her community, she has successfully returned to school. She now shares her story with other girls, inspiring them to pursue their own ambitions. 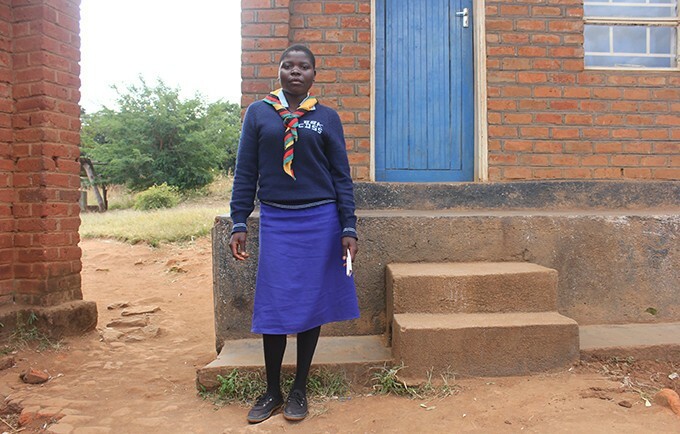 “My school friends used to tease me, and some were saying I should go home to cook and take care of my child,” Luwiza recently told a crowd of girls in Dedza. She refuses to let these insults bother her. Instead, she is focused on her future, her family’s future, and the future children of Malawi. “My vision is to get educated, get a job as a secondary school teacher and take better care of my child,” she said.